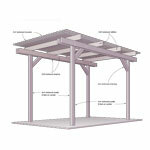 Host Jeff Imwalle guides us through the 6-easy to follow steps to building the Windsor Shade Structure. 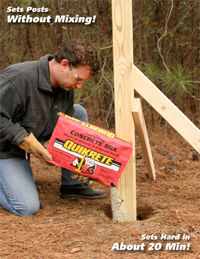 This project takes approximately 2-days and can be accomplished using basic homeowner tools. This 16 page booklet from California Redwood Association will stimulate your imagination by providing you with a wealth of creative redwood fence designs. 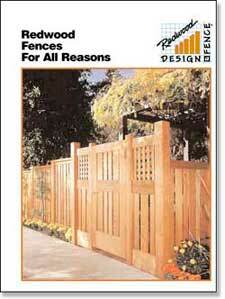 You’ll also find the necessary step-by-step construction techniques for planning, designing and building your fence. 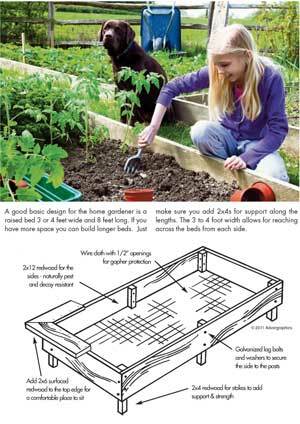 This is a good design for the home gardener. 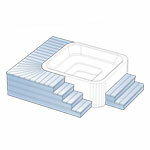 Gives dimensions and basic materials used. 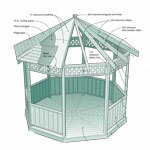 This handsome, freestanding redwood shade shelter will provide a cool place to relax in the garden or yard. The shelter can also be built next to your home where it will keep the whole house cooler by shielding windows, walls and sliding glass doors from the sun. Concealing an aged concrete patio with a naturally beautiful redwood deck will addimmeasurable value and ambience to your outdoor entertainment area. Enhance the alluring appeal of a backyard spa with this handsome redwood spa surround. 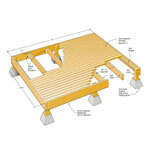 Its elegant, custom-crafted design features a comfortable wraparound lounging bench and two sets of easy-to-build steps. 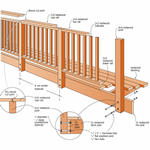 Custom redwood railings give redwood decks personality and can add a sense of space or scale. These 2×2 baluster railing designs provide a range of options from simple to simply elegant. All above plans are courtesy of the California Redwood Association. These are helpful "project plans" - NOT KITS & ARE NOT ASSEMBLED. 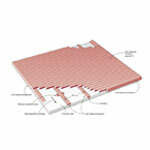 Check local building codes before planning construction. 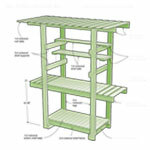 You will need to be able to read plans and build the project. Lumber is not cut to size. 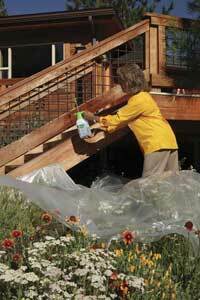 How to refinish a wood deck from Superdeck. 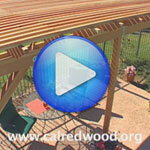 View Duckback - Superdeck's new YouTube video on "How to refinish a wood deck". View Step by Step instructions here. View the How to Video here.